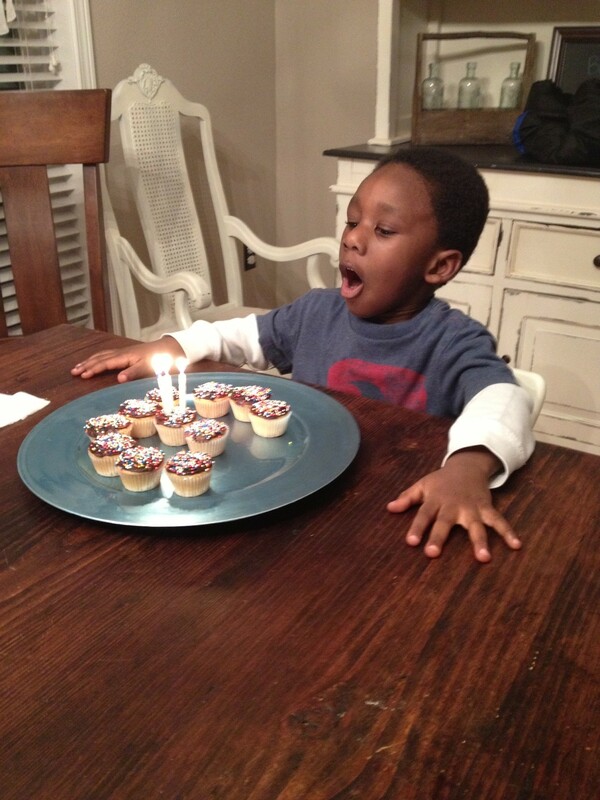 My big little man turned 3 yesterday. Where does the time go? We played birthdays a bit low-key (definition of low-key: very little planning on my part) this year. 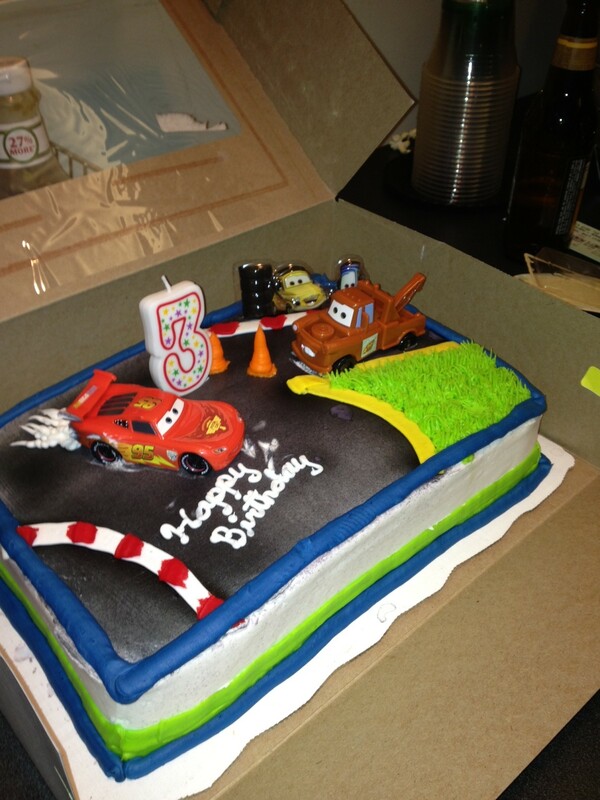 We celebrated with a specially requested cake with Lightening McQueen and Tow Mater at Disney Live. On the actual date of his birthday, we invited family over for a taco bar again, specifically requested by Coen! It is so fun that he is at the age when he gets it and wants to have a say in planning his big day. I had already spent way too much on a cake that only got half eaten so, I decided to make cupcakes for desert. 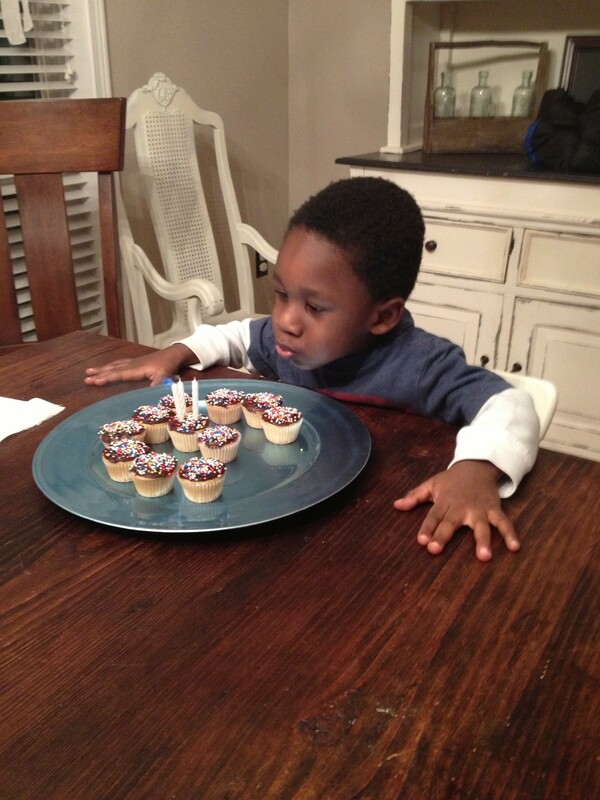 I shaped the mini cupcakes into the number 3 and he got to blow out his candles. 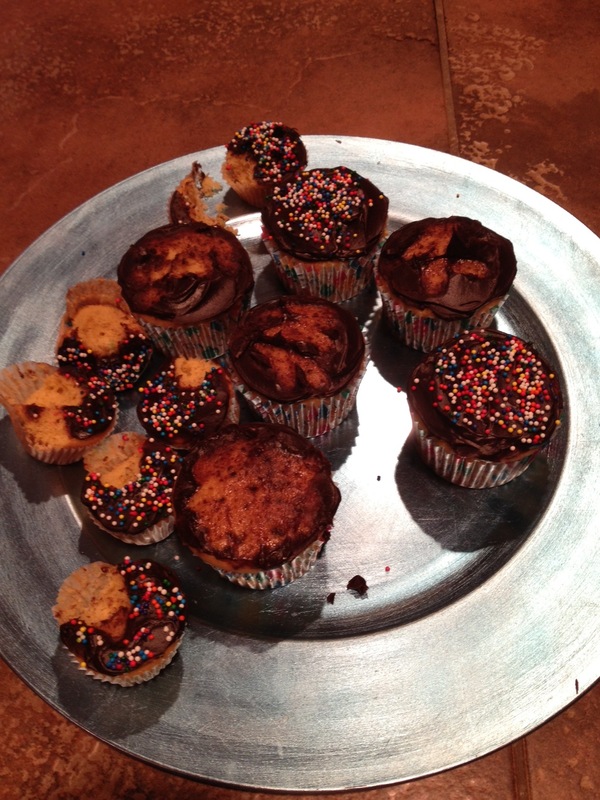 There were quite a few cupcakes left over and they sat on the kitchen counter the next day until…..
Any guesses at to what happened here? I was feeding Keaton and realized it was a little too quiet in the house. It was quiet. period. problem. I called to the boys who appeared with chocolate all over their faces. Can you believe they dared to tell me that no, they had not been eating cupcakes?! I think I did comment on the boys and the cupcakes but I certainly will again, That is so cute and something you will always remember, Mommy. Just add it to your wonderful memories of the boys when they were little. I love to think back about all my wonderful memories when mine were little.